A popular vacation destination for Texans, the city of Galveston is located on Galveston Island, is connected to the mainland by a causeway and is home to some of the most beautiful Victorian architecture to be found anywhere. Cruises from this port to the western Caribbean and to the east coast of Mexico have recently become quite popular. There is plenty to see and do in this vacation hotspot before or after your cruise. Be prepared for a great mix of the old and the new, stunning beaches, loads of curio shops and excellent home style restaurants. Cruises from Galveston depart from a modern terminal located on Harborside Drive in the middle of the port district. It is only a short taxi ride to downtown, and the terminal itself, although not completely decorated with shops, banks or ATMs, is adjacent to a number of stores and restaurants. The wonderful beaches that Galveston is best known for begin here and run the length of the seawall to the southwestern end of the island. For starters, take a stroll along the gigantic seawall that protects downtown Galveston from the huge waves that are caused by infrequent hurricanes. This enormous construct is itself amazing to look at. The East Beach with its many shops, snack restaurants and party atmosphere is the town's most popular hangout. Close by is the Big Reef Nature Park, and there are plenty of merchants around that will rent you an inflatable, kayak or motorized watercraft. Along Seawall Blvd at 6th Street is Stewart Beach, a family-friendly area that has a water slide, mini golf and volleyball courts. Moving inland to Broadway one finds the astounding Bishop's Palace, ranking high on the American Institute of Architects list. This wonderful structure dates from 1893 and was built for the Houston-Galveston Catholic diocese. Inside are marvels of architectural engineering, including the world-famous spiral staircase that was built over a three year period. 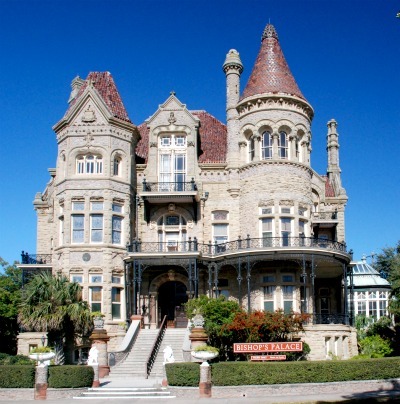 Nearby on Postoffice Road are several fine art galleries, and on the 2600 block of Broadway is the famed Moody Mansion Museum, with over 30 rooms stuffed full of memorabilia from the early days of the city's history. 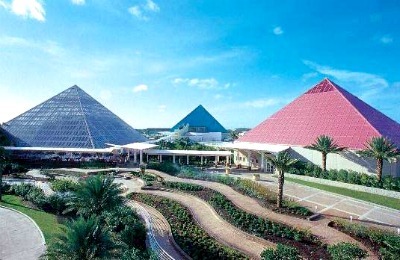 On Hope Blvd is the 250-acre Moody Gardens, where a family can spend the day walking through the botanical exhibits, be entertained at the IMAX theater, or stroll along Palm Beach with its many lagoons, ponds and waterfalls. Some of Texas's finest home style cookery can be enjoyed in Galveston. Best known is the Queen's Bar-B-Que On Avenue S. This award-winning institution features hickory-smoked entrees, is very family-friendly and, best of all, inexpensive. So is Shrimp 'n' Stuff on Avenue O, where you can enjoy the best seafood sandwiches and gumbo in the region. At 2017 Postoffice Street is the fabulous Saltwater Grill, with is endless menu of seafood and salads, rated by the locals as the best establishment in the city for reasonably priced lunches and dinners. Galveston is located about 50 miles south of downtown Houston; the two cities are connected by Interstate 45. Many tourists choose to rent a car at either of Houston's two major airports and make the drive into Galveston on their own. The city can also be reached by Greyhound, and once in town, visitors will have no trouble catching taxis to and from the cruise terminal. Also, rental cars can be dropped off at several locations in the city and free shuttles are available from these drop-off points to the cruise terminal. Galveston has a semi-tropical climate for much of the year, and the weather tends to be rather humid in the spring and summer. Rain squalls are common in the winter and the surf can be extremely high between October and April. Those needing to connect via the Internet will find several cafes, including facilities at Saengerfest Park, just three blocks from the cruise terminal on 23rd Street at The Strand; here connections to the Internet are free of charge. 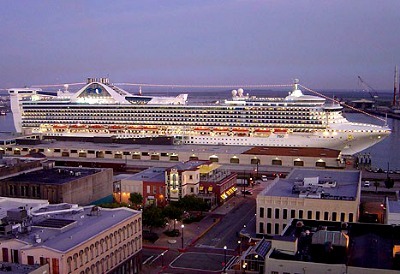 A cruise ship docked at the Galveston port. 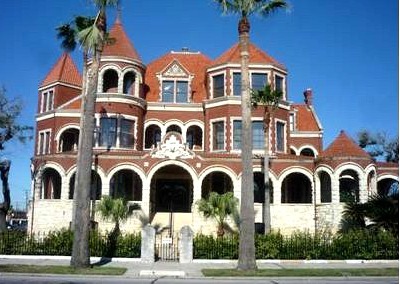 Bishop's Palace in Galveston built in 1893. The Moody Gardens, where a family can spend a full day and enjoy every minute of it. The Moody Mansion Museum has a lot of memorabilia highlighting many aspects of the city's history.